2008 AMA Finale at Mazda Raceway Laguna Seca. Last updated: January 31, 2009 - 3:47pm. Last updated: November 13, 2008 - 5:12pm. 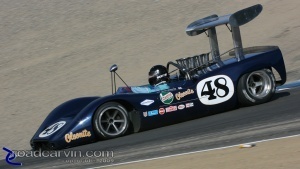 Pictures from the 2008 Monterey Historic Races. Last updated: August 2, 2009 - 8:20pm. Last updated: June 20, 2008 - 5:41pm. Last updated: January 31, 2009 - 9:48pm. When Racers were Men and Fans were brave. Last updated: July 8, 2007 - 11:59am. IMSA Lite driver Jonathan Goring exiting turn 5.